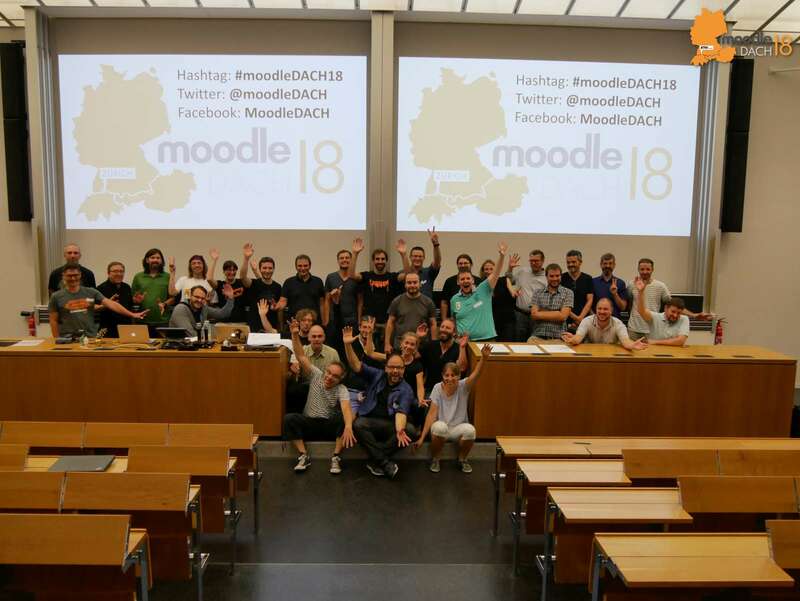 A month ago ETH hosted the Moodle DACHunconference and Devcamp (https://www.moodle-dach.eu/) which has a specific focus on using Moodle in the higher education context. About 140 Moodle administrators, power users and developers from all over the world, met in the Earth sciences building. During the entire event the hashtag #moodleDACH18 was used. View the twitter wall with impressions and thoughts at https://walls.io/moodledach18. The first part was organised as a BarCamp. This format focusses on interactive meetings with short inputs. The agenda is co-constructed with the participants on the first morning of the conference. This means there are no submissions, papers or presentations submitted ahead of time, which greatly minimises preparation and the organisational work required. The participants were invited to pitch ideas for a session within 30 seconds. Directly afterwards these ideas were added to an online programme (session plan BarCamp) and allocated to an available meeting room. General Data Protection Regulation (GDPR), learning analytics, the usability of Moodle and online exams were central topics and well visited. Participants queuing to pitch their ideas for a session. After a day and a half of BarCamp the DevCamp started. After another idea pitching phase, 12 development projects started. Their primary goal was to have working code after the DevCamp. It was impressive to see, how the projects grew and almost all succeeded in presenting a working result on the final day. You can find an overview of the projects here (DevCamp projects). All participants then voted for the best project and thanks to our sponsors, three projects («Essay question word/char count», «Notification API Message Output», «MCDS-Moodle content Delivery System Admin Tool») won a prize. Closing image of the DevCamp with most of the participants. #moodleDACH18 was a real success story. The BarCampmethod changes the way how a conference works entirely. 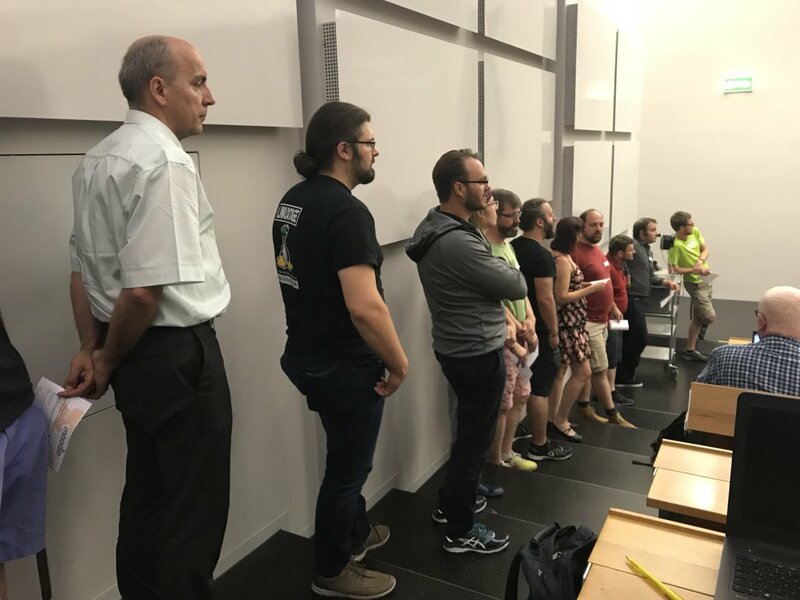 Interactive, spontaneous, diverse, discursive and cross-linked –those are all the hallmarks of a BarCamp, and we believe, this is one way how conferences of the 21st century could look. It minimises the preparation time and allows for flexibility and emergent topics. Additionally, the BarCamps were completely digitised. By using Moodle, Twitter and Google Docs there wasn’t hardcopy of anything to be seen anywhere. The Moodle team at LET benefited strongly by participating in this event. Firstly, there was benefit that comes from networking with others from different higher education institutions. Seeing how Moodle is implemented in other places helps to identify areas where ETH is on the cutting edge, such as online exams, or where we could learn from the experience of others. Secondly, it nourishes relationships and thirdly, it helps to drive strategy for the development of Moodle on an institutional level and more generally. 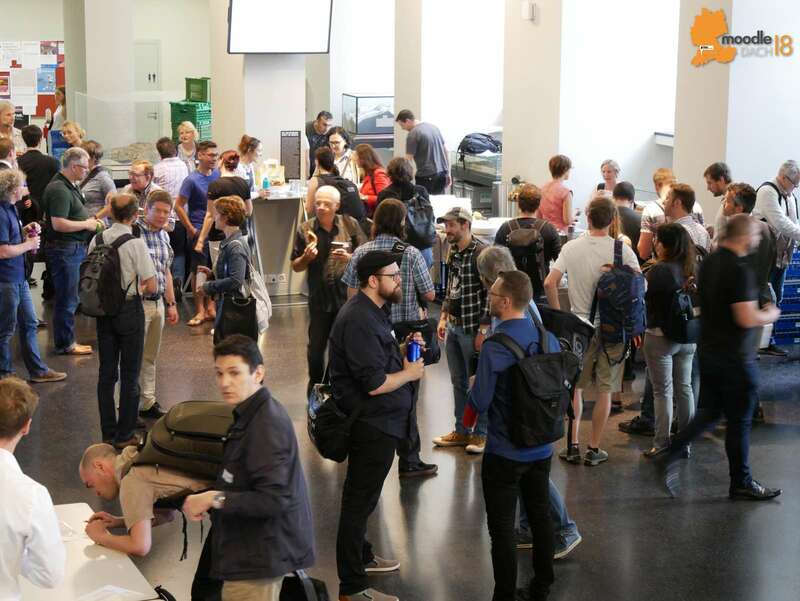 The next Moodle DACH will be in Vienna.